The second Mondo hackathon was amazing. So many amazing developers and amazing hacks. Here’s the 3 little things i achieved between wandering around getting inspired by everyone else’s amazing projects. 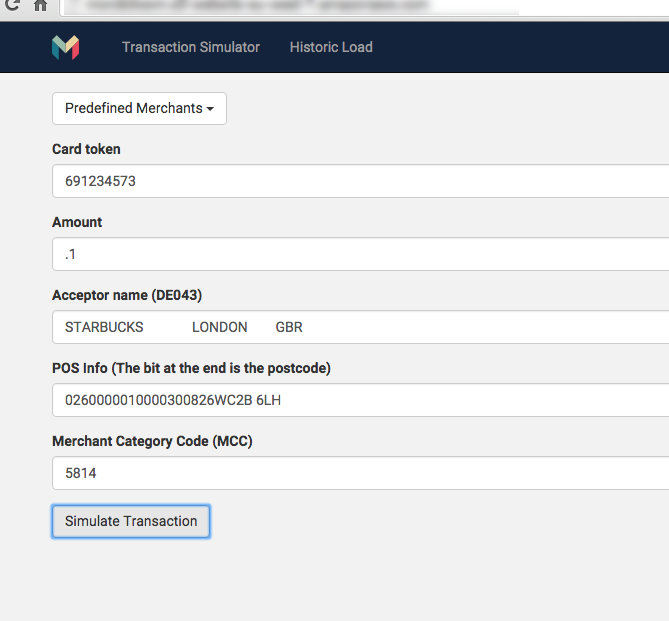 On Saturday i build a simple voice activated banking app. I planned on using the Amazon Echo, but couldn’t get hold of one. Plan B was to use a raspberry PI and the Jasper project, but after overclocking my Pi, it appears to have died. Plan C was to use Wit.Ai. 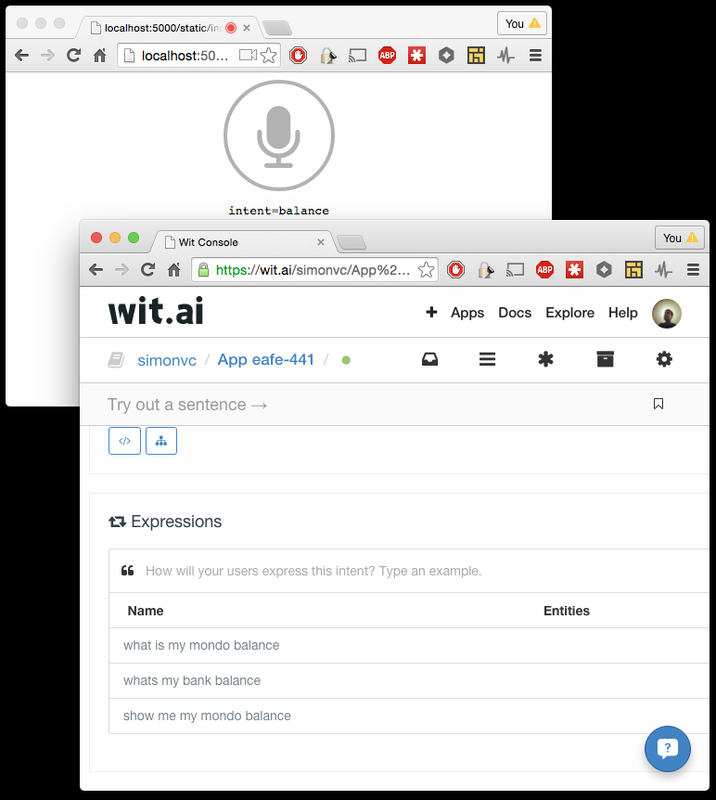 Wit.AI is pretty cool, you give it a list of things it can recognise, and they provide a few SDK’s that let your app send audio and get back “intents”. I chose to use the WebBrowser SDK with a simple python FLASK app and OSX’s built in TTS to reply. On Sunday i did a couple of hacks. 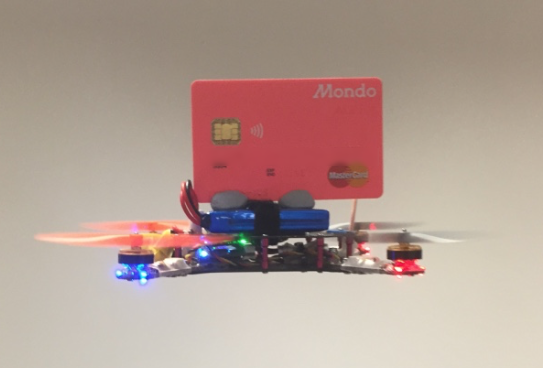 The first one: Delivery of our new Mondo Cards by Drone! Totally seriously going to deliver cards by drone. My third hack is something i’ve wanted to do since we got our webhooks working. 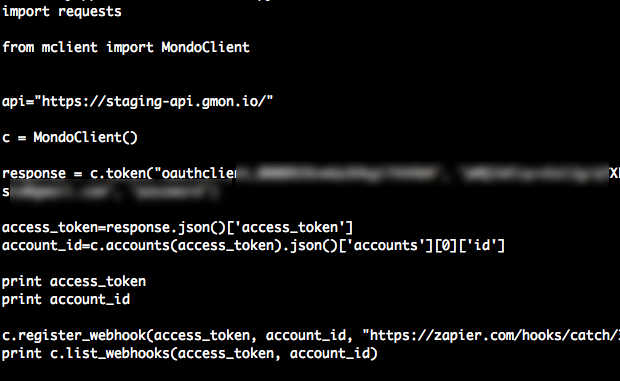 Firstly i registered a webhook to send my transactions to Zapier. 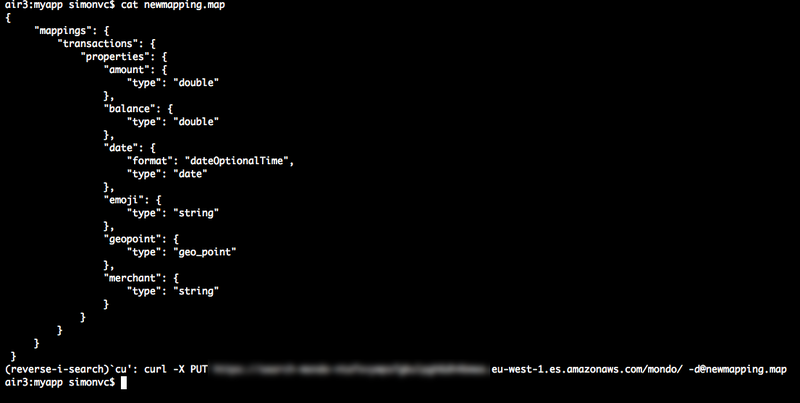 Then i set up Zapier to catch the webhook, and send it on to Elastic Search after slightly reformatting it. 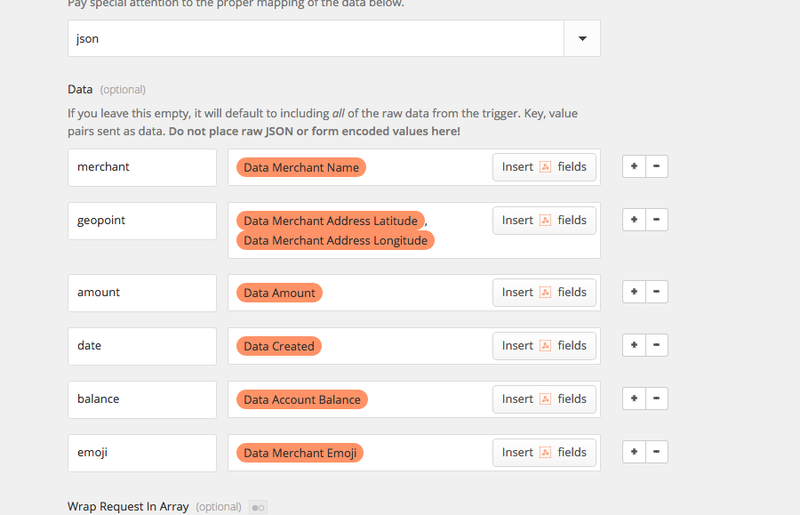 Then I needed to create an index in elastic search based on this data from Zapier. This took the longest time to work out. 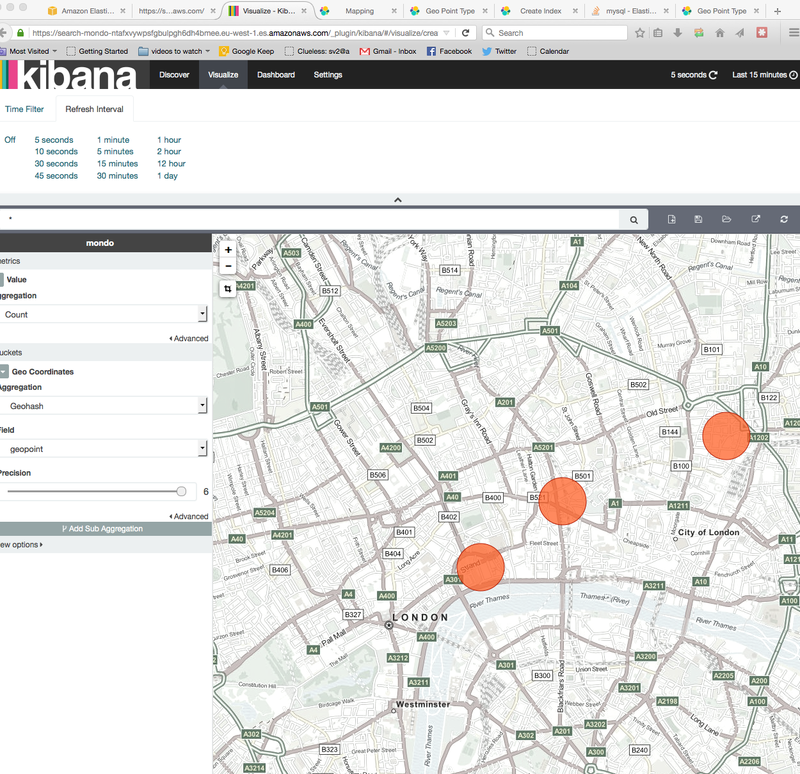 With that done, i can do cool things, like a live updating map of where my transactions are happening. Live view of where my transactions are. I remember when the internet meant running slip over telnet. Co-founder @LondonAerospace & @CryptoCLASS. Pope of the Church of Erisian Discordianism. Extropian.